Dinosaur Island now on Indie DB! 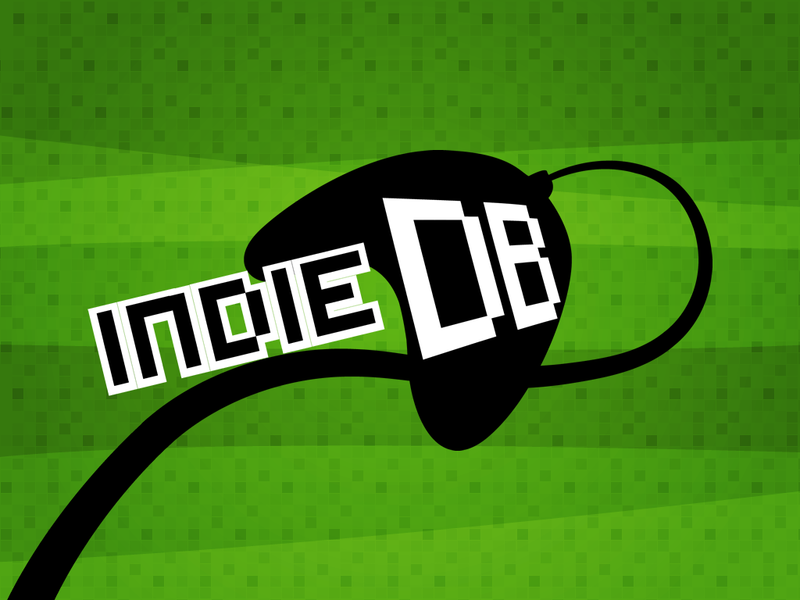 Indie DB is one of the largest game development sites on the internet with over 1,000,000 members. Dinosaur Island is now on Indie DB. Indie DB is one of the largest game development sites on the internet with over 1,000,000 members and is 100% dedicated to helping you get your game publicity and support, via our huge community of gamers and developers. For more information, you can follow us at: http://www.indiedb.com/games/dinosaur-island. Partnering with Indie DB will help get the word out about Dinosaur Island. We anticipate having a video showing gameplay within the next month. Soon after, we will begin our fund raising campaigns. 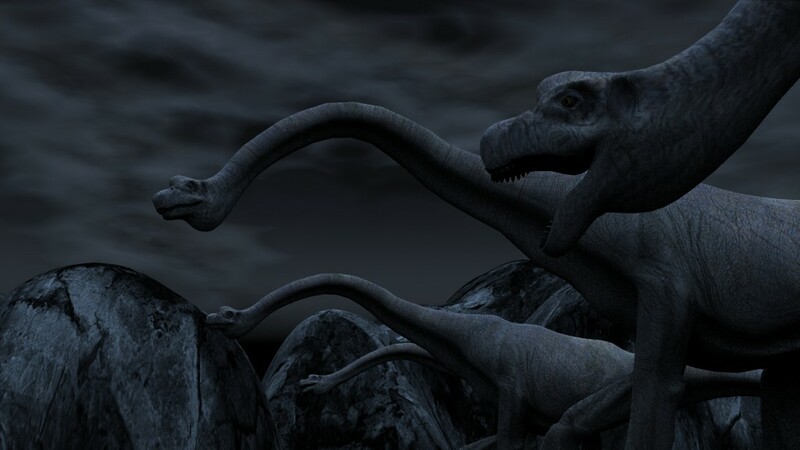 Herd of Brachiosaurus at night by Ed Isenberg (click to enlarge). 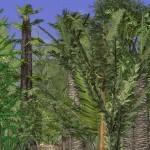 Three dimensional models of things like dinosaurs are created using modeling programs like Maya, Lightwave and 3DS Max. When these models are completed they can be placed in an environment and rendered in real-time using a ‘3D engine’. There are a number of 3D engines available to game designers. We’re now at the stage of development of Dinosaur Island where we need to look at all the products that are out there, evaluate them, do some tests and make a decision as to what works (and looks) best. Our main concerns are what engines make it easy to import our data (the island itself, the terrain, the plants and the dinosaurs) how will it support our artificial intelligence (AI) routines and, of course, what looks great. 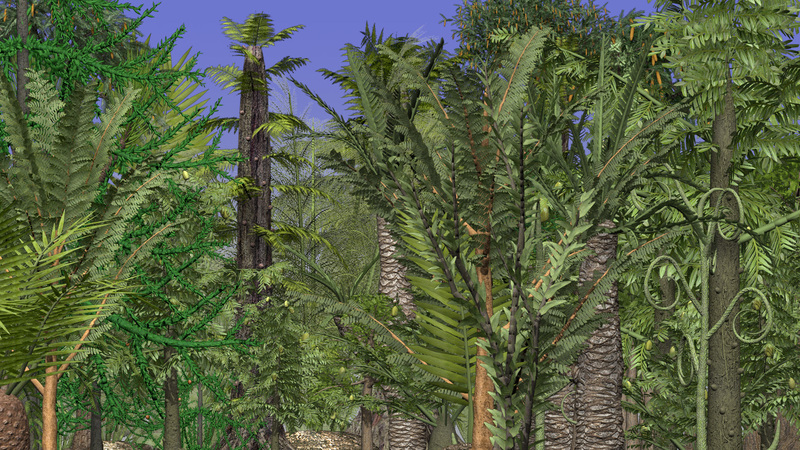 So screen shots of the island in 3D should be coming soon!